Chef Tiger's Kitchen: Weekend full of finsihes!! 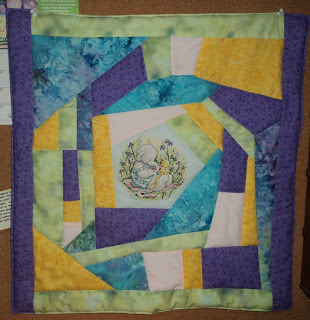 I've dived right in with my crazy quilting method to finish panels for Angel Quilt Project (AQP). In the middle of finishing the second one I remembered needing to get the laundry bag done for a sister missionary leaving for her mission next week so Sunday will be the last day I can get it to her. I got it done though! 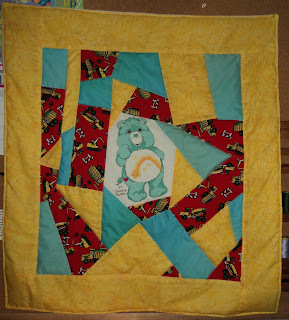 Here's the second AQP quilt! wowee you have been such a bizy lady- they are all beautiful though - love them all!! Good for you Lorrie! Well done! Spring is Sprung finished wall hanging!